Everyone who wants to learn how to play piano or keyboard can have great success with online lessons from kids to adults, newcomers to experts included! The only thing stopping many people from taking the plunge is simply in making the decision to take that plunge! 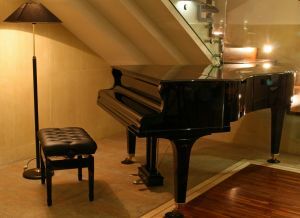 Leaning how to play the piano is something many people would love to do, but come up with tons of excuses why they can't. So they never get around to it and never know if they have a talent for it or not! Do you want to play this fascinating instrument and play it well? Or do you already play but want to take your skills to the next level? Everyone has to start somewhere and learning from scratch is usually where we all start from! It's no big deal to be sitting there in front of the black and white keys and not have the first clue what to do and where you should be doing it! I remember when I first got my first keyboard back in the early 1980s when synths were just coming into their own and spending hours just reading the manual, looking at all the function buttons and bells and whistles and not really knowing where to begin! Well, I was determined to play that thing so I found a local piano teacher and got some lessons. I wasn't interested in becoming a concert pianist, I just wanted to know where I should be putting my fingers to make a song sound good and why. Not everyone will want the same things. After all, my main instrument is the guitar so learning the keyboard was just me expanding my musical acumen and widening my horizons. You may have different goals, desires and needs. For most people, one of the biggest stumbling blocks to learning how to play is the cost of getting decent tuition. It can end up costing you a lot of money when you have to pay for two or three (or more) private tutoring classes each week and then add up the weekly costs over several months. If you can afford it, then that's great and you should do it because having one-to-one private lessons with a great teacher is the best way to learn any musical instrument. You get to learn from an expert who will show you how to play properly and not get into bad habits. Of course, if you can't afford private tutoring, you need to find an affordable alternative that will also provide you with a high level of tuition without the associated price tag. That alternative is in online courses of video and audio lessons where you get to watch an expert on your TV or computer, laptop or tablet in your own home and at your convenience. Plus you choose when you want to do your daily lesson and you can do them and redo them as often as you want because you own the videos that you downloaded! This is a similar concept to using fitness videos produced by coaches to the movie stars or the stars themselves. Remember the Jane Fonda workouts in the 1970s? Oh, maybe you don't, I'm showing my age here! But anyway, the thing I'm trying to get across here is that you can but for a one-time fee a great, professional course of piano lessons that will teach you everything you could ever learn from a real live tutor at a fraction of the cost and at your own convenience while taking the lessons at your own pace. When I was in need of a refresher on the keyboard which is an instrument I don't play all that often, I found this course and was very impressed. I needed to include some keyboard work in a new recording project I had planned and as they parts were fairly simple, I wanted to do them myself. Yeah, I get it, I'm a control freak! But really, I love playing lots of different instruments so it was just natural for me to want to do this. As I said, I needed a refresher and to gat dome tips I could use to get a better sound. The thing about this course is that the creator, Robin Hall is a professional tutor who has made it easy to learn to play by creating an easy-to-follow, step-by-step program that can have you playing real songs in under 10 weeks! Whatever your preferred kind of music, you will learn to play real songs the right way and rapidly improve your technique and ability in a way that will really surprise you. This course will cost you a one-time price of less than $40 which is about what you'd pay for a restaurant meal these days. It's around the same as you'd pay for just one private lesson from a professional tutor on-to-one! For that, you get a whole program of lessons that you can follow at your own pace and do when it suits you. Once you have paid, there are not further hidden costs or monthly subscriptions which is what I liked a lot about this course. Want to Buy the Pianoforall Piano Tutoring Course? Of course, the final decision is yours to make. You don't have to get this course if you don't think it's for you. If you want to give it a shot, click the link below to visit the official Pianoforall homepage where you can get more information and but it when you've decided you want it. 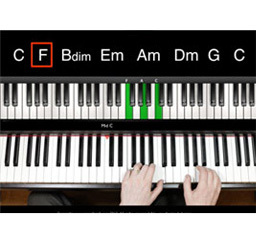 Click HERE to Visit Pianoforall and Discover the Best Piano Lessons Online! One other thing. There are lots of free lessons online at Youtube, after all so why should you pay for this course? I'll tell you why. Sure, some of the free video lessons on Youtube are actually reasonable, but finding them is not always so easy and you're likely to come across far more dodgy videos with people making bug promises and delivering little more than bad habits and a sales pitch to another paid tutoring program that may or may not be half as good as this one but which will undoubtedly cost you a lot more. OK, you can heed my warning or not. Go see for yourself. But also know that your time is a valuable and precious commodity that once you use, you can never get it back. Don't waste countless hours browsing garbage videos on Youtube when you can spend that time far more constructively by simply paying for this course and using those hours to learn piano from a professional.